The IBM 4224 is a serial dot matrix bi-directional printer. Multiple models offer speeds of 200, 400, and 600 cps as well as color printing. All 1XX and 2XX models offer Advanced print functions which are implemented through the Intelligent Printer Data Stream (IPDS). The 4224 Model 102 offers speeds up to 400 cps with available memory of 64K, expandable to 512K, and offers remote attachment to System/36, System/38, and AS/400 System for variety of DP and WP applications. The 4224 Model 1E2 offers speeds up to 400 cps with available memory of 512K and offers remote attachment to System/36, System/38, and AS/400 System for variety of DP and WP applications. The 4224 Model 1C2 offers speedsup to 400 cps, available memory of 512K, and color capability, and offers remote attachment to System/36, System/38, and AS/400 System for variety of DP and WP applications. The 4224 Model 1E3 offers speeds up to 600 cps with available memory of 512K and offers remote attachment to System/36, System/38, and AS/400 System for variety of DP and WP applications. The 4224 Model 201 offers speeds up to 200 cps with available memory of 64K, expandable to 512K, and offers attachment to 3174/3274/3276 Control Units, 43XX Processors, 9370 Processor, and the 3694 Document Processor. The 4224 Model 202 offers speeds up to 400 cps with available memory of 64K, expandable to 512K, and offers attachment to 3174/3274/3276 Control Units, 43XX Processors, 9370 Processor, and the 3694 Document Processor. The 4224 Model 2E2 offers speeds up to 400 cps with available memory of 512K and offers attachment to 3174/3274/3276 Control Units, 43XX Processors, 9370 Processor, and the 3694 Document Processor. The 4224 Model 2C2 offers speeds up to 400 cps, available memory of 512k, and color capability, and offers attachment to 3174/3274/3276 Control Units, 43XX Processors, 9370 Processor, and the 3694 Document Processor. The 4224 Model 2E3 offers speeds of up 600 cps with available memory of 512K and offers attachment to 3174/3274/3276 Control Units, 43XX Processors, 9370 Processor, and the 3694 Document Processor. 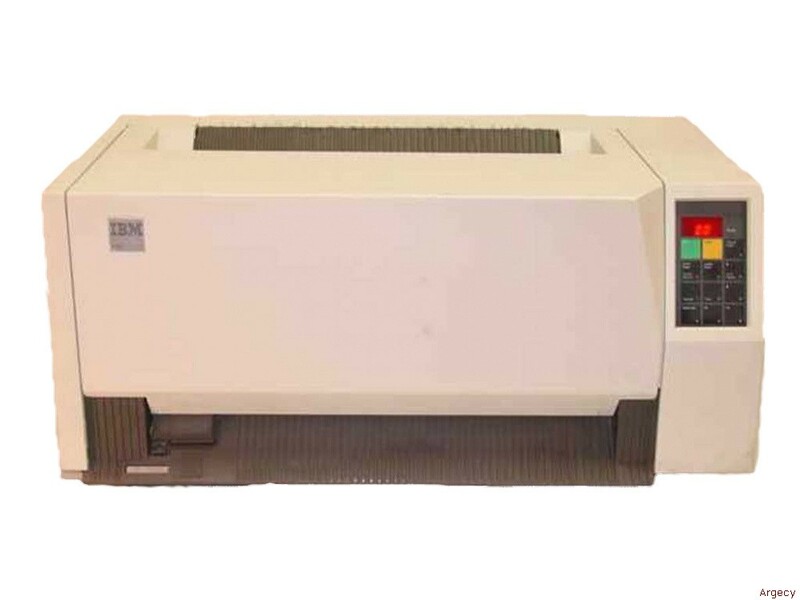 The 4224 Model 301 offers speeds up to 200 cps with available memory of 64K, expandable to 512K, and offers ASCII attachment to Series/1, System/88, 9370 Information System, 3174 Control Unit, and AS/400 System. Three levels of print quality combined with forms handling options and graphics capability makes the 4224 ideal for a variety of applications. The 4224 Model 302 offers speeds up to 400 cps with available memory of 64K and offers ASCII attachment to Series/1, System/88, 9370 Information System, 3174 Control Unit, and AS/400 System. Three levels of print quality combined with forms handling options and graphics capability makes the 4224 ideal for a variety of applications. The 4224 Model 3C2 offers speeds up to 400 cps, available memory of 512K, and color capability. Offers ASCII attachment to Series/1, 9370 Information System, and 3174 Control Unit. Three levels of print quality combined with forms handling options and graphics capability makes the 4224 ideal for a variety of applications. The 4224 Model 3E3 offers speeds up to 600 cps with available memory of 512K and offers ASCII attachment to Series/1, System/88, 9370 Information System, 3174 Control Unit, and AS/400 System. Three levels of print quality combined with forms handling options and graphics capability makes the 4224 ideal for a variety of applications. NLQ Mode (Near Letter Quality) - The dot density is doubled both horizontally and vertically compared to DP mode. The character box is 18 dots high x 20 dots wide. The nominal NLQ character matrix is 12 dots high (0.091 in.) x 7 or 13 wide. Maximum character box height is 0.133 inches. Vertical spacing of 6 and 8 lines per inch.Horizontal spacing of 10, 12, &15 characters per inch. A special proportional font is available in DP TEXT and NLQ resulting in an average spacing of 11.5 characters per inch. Machines with serial number F0001 and later also have 16.7 characters per inch in DP Mode only. Advanced print functions supported through the new Intelligent Printer Data Stream (IPDS) include vector graphics, resident bar codes, OCR A and B, raster image, and electronic forms (overlays). Bar codes supported by the 4224 are: Code 3 of 9, MSI, UPC-A, UPC-E, EAN-8, EAN-13, Industrial 2 of 5, Matrix 2 of 5, and Interleaved 2 of 5. Word processing functions include proportional spacing, sub/super script, and various emphasis capabilities (software-dependent). Print quality, e.g., NLQ, is operator selectable and may be overridden by software. Print line maximum of 13.2 inches. Paper width from 3 inches to 15 inches (continuous forms). Multi-part forms up to 4 parts may be used. Some 5- and 6-part forms may function satisfactorily but are not warranted by IBM. Graphics printing at 144 x 144 dots per inch. Three operator changeable forms devices provide paper handling flexibility for continuous forms, document on demand, and document insertion. Front loading and straight paper path provides operator convenience, added reliability, and reduction of multi-part form "shingling". Advanced jam detection checks for paper motion when using continuous forms (Continuous Forms Device and Document on Demand). Paper skew and insertion errors are detected when using cut forms (Document Insertion Device). Ribbon cartridge allows "clean hands" removal and installation. Operator replaceable printhead improves machine availability. Multi-function operator panel includes 3-position digital display. Cable-thru and termination are standard for twinax attachments through the use of a U-connector assembly (included). Compact table top design fits a variety of commercially available printer tables and stands.